Our lawyers exhibit a wide diversity of interests, training and experience. Combined, they are a formidable legal team, able to execute the most complex business transaction or draft the most straightforward will or estate plan. Many of them sit on the boards of local organizations and volunteer time for charitable and non-profit agencies. 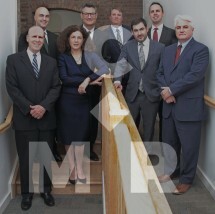 Our attorneys are well known in the region and enjoy strong relationships within the business and legal communities in the Hudson Valley region and beyond. Whether your legal need is personal or professional, the attorneys at the law firm of Catania, Mahon, Milligram & Rider, PLLC, will work to help you overcome even the most complex legal challenge. If you would like to learn more about the range of legal services we offer or our unique approach to legal problems, you can do so by scheduling an initial consultation at our law office in Newburgh.